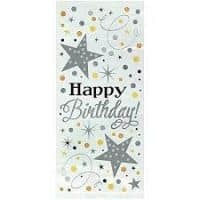 Buy the latest colourful and patterned cellophane cello party bags online at PartyBits2008. Our range of party bags is the perfect way to give Gifts and Sweets. Our bags come in a range of colours and styles.